Notes: Sandwich Road had a short single platform faced with timber and metal sheeting on the up side of the line; there was no shelter. 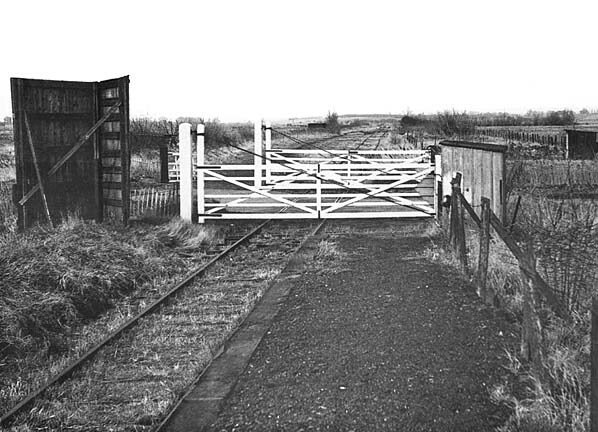 The crossing at Sandwich Road is the only gated crossing on the line, there was a loop and goods siding on the far side of the crossing. 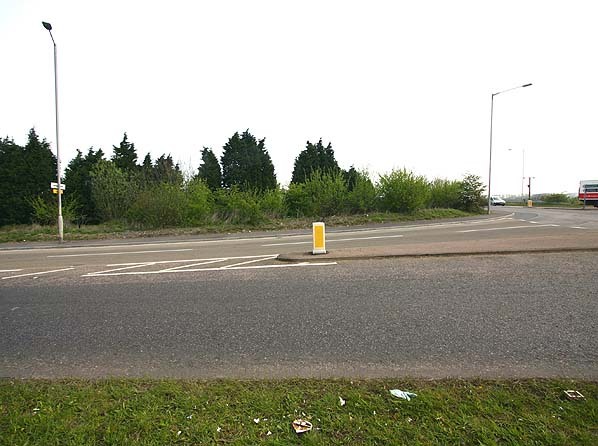 Although a passenger station was built at Richborough Port it was never opened; Sandwich Road remained the terminus of the branch as the flimsy bridge over the River Stour wasn't approved for passenger traffic. Sandwich Road had little passenger traffic earning most of its revenue from a roadside advertising billboard visible in the picture below..
From November 1936 until closure the service was reduced to Wednesday and Saturday only. 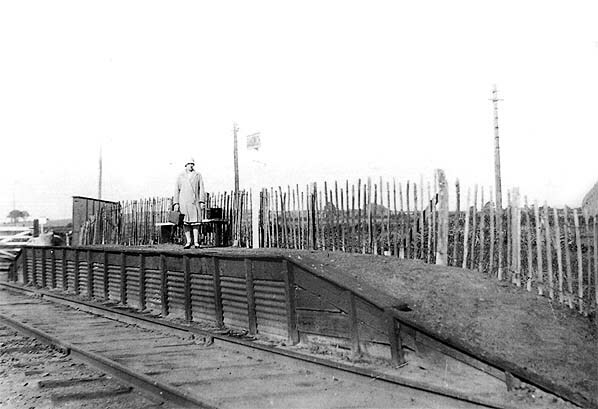 After closure to passengers in 1928 Roman Road remained open for freight traffic until 1st January 1950. To see other stations on the East Kent Light Railway click on the station name: Shepherdswell, Eythorne, Elvington, Knowlton, Eastry South, Eastry, Woodnesborough, Ash Town, Staple, Wingham Colliery, Wingham Town, Wingham Canterbury Road, Poison Cross, Roman Road, Richborough Port & Tilmanstone Colliery Yard. to the picture above. The course of the line is through the gap in the trees. 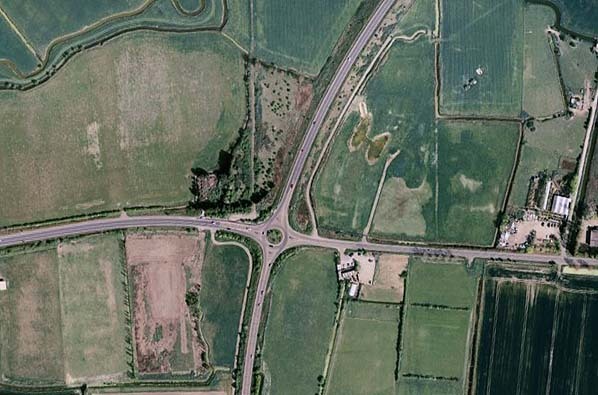 As can be seen from the aerial photograph the site of Sandwich Road Halt is just to the right of the roundabout. The course of the railway can be clearly seen to the north.